Redmine is a project management tool written in Ruby. This tutorial explains how to serve Redmine with the help of thin (a fast Ruby webserver) through an nginx webserver on Debian Wheezy. 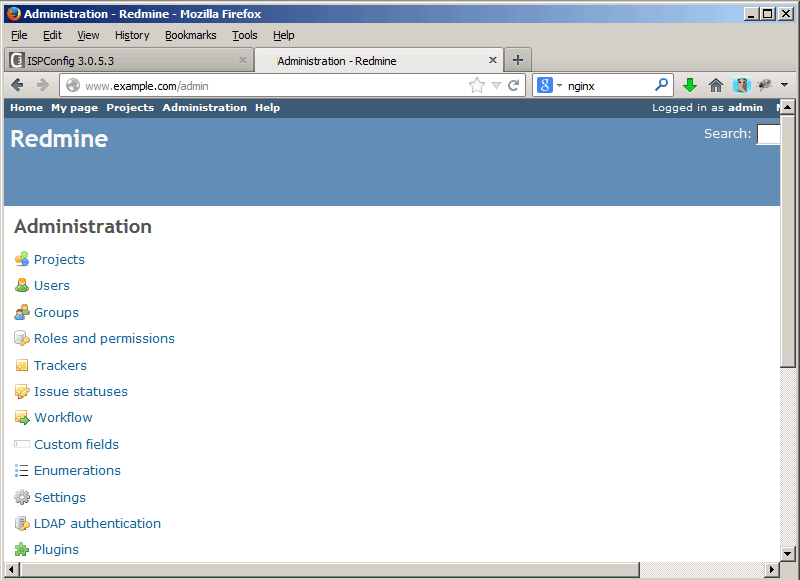 I have prepared a website www.example.com with the document root /var/www/example.com/web (Redmine will be installed there) that is owned by the user web1 and the group client0. I have also prepared a MySQL database for Redmine with the name c0db1. The username is c0db1 as well, the password is FyZ5z4QGfhTf8. 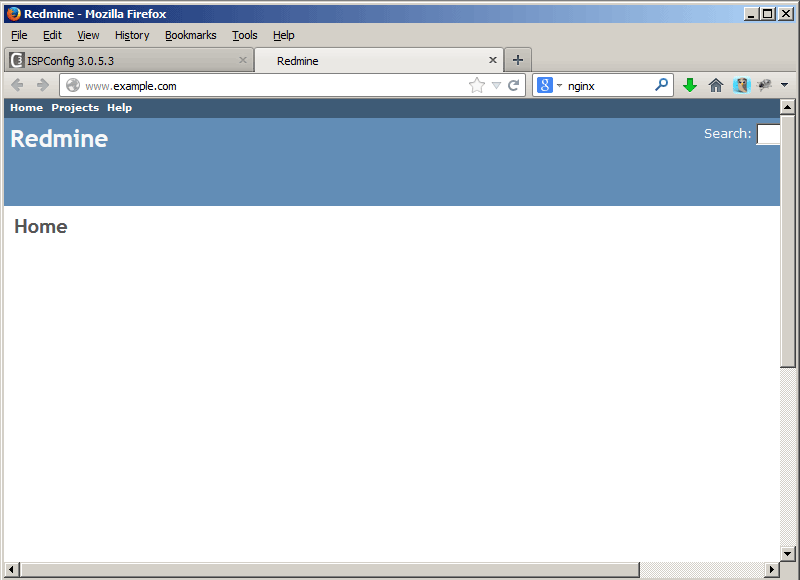 Next we configure thin, our Ruby webserver that nginx will proxy requests to. start program = "/etc/init.d/thin start"
stop  program = "/etc/init.d/thin stop"
That's it! Now visit your website, and you should be able to use Redmine. The default username is admin, the password is admin as well. First and foremost, awesome tutorial!! Beyond the fixes in the nginx config as noted above, you may have an issue with broken SSL if you are using certain plugins which in my case would be "Redmine Local Avatars". It seems as if the image links are non-SSL and Firefox will report that the connection to the site is not fully secured. 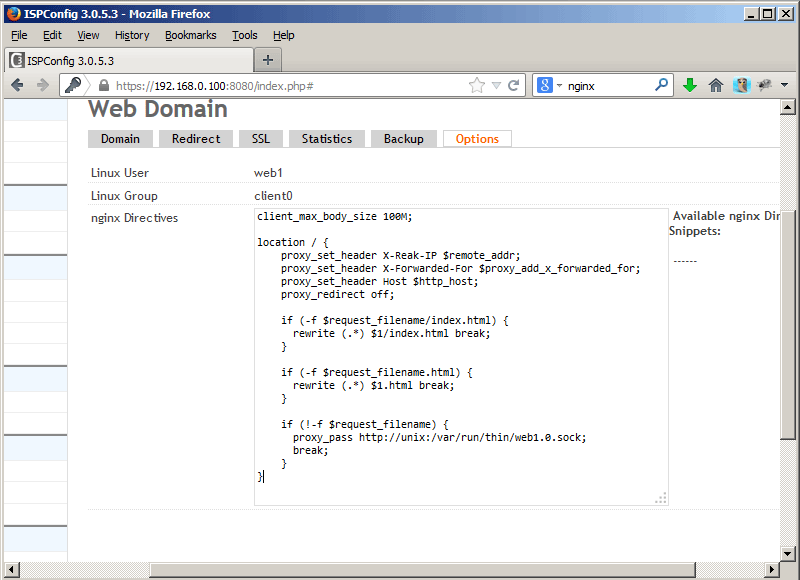 To fix the issue, simply add the line below to your nginx config. Thanks you so much ^^. Excellent tutorial I've been able to get it setup the way I would like, I'm trying to use tcp sockets instead of file so I've set mine up differently in that aspect, though I can't seem to get it to work.. I'm getting this in my thin logfile, the application doesn't seem to want to work with it. It seems to be an issue with thin, because if I start it with webrick then Redmine loads?